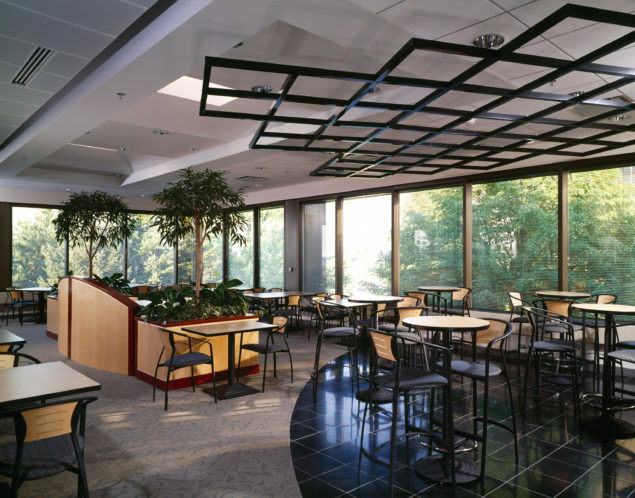 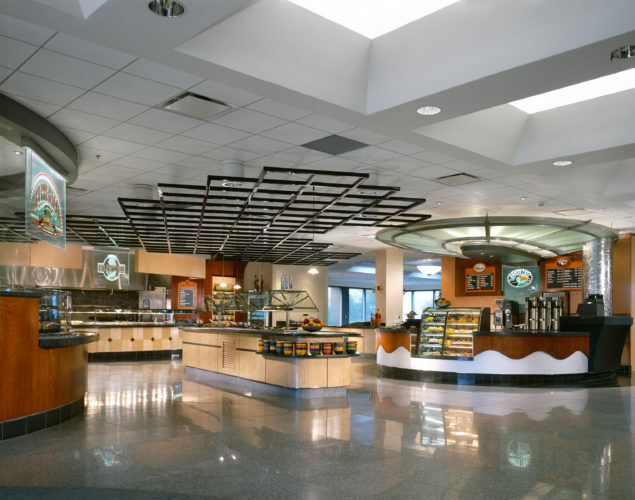 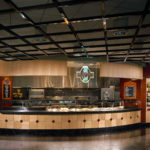 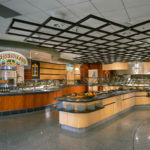 Bayer Corporation required a new employee cafeteria as well as an auditorium for regular meetings held at its Parkway Site Campus. Meeting this dual-space need necessitated complete renovation of the existing 11,000-square-foot cafeteria. 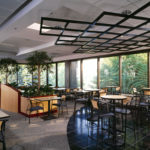 The new, dual-purpose environment includes dining seating for 275 and auditorium-style seating for 420. 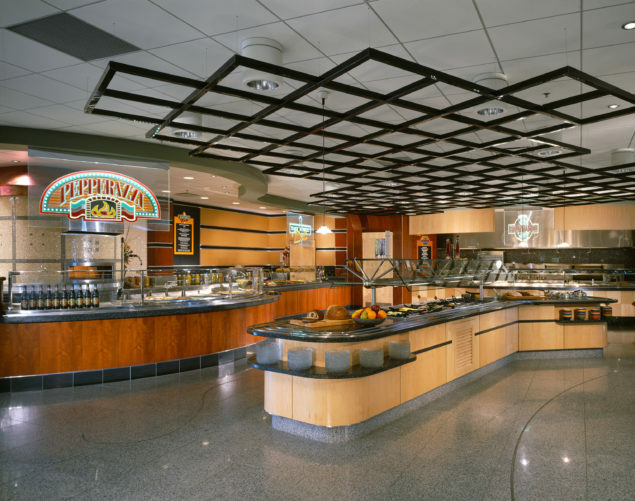 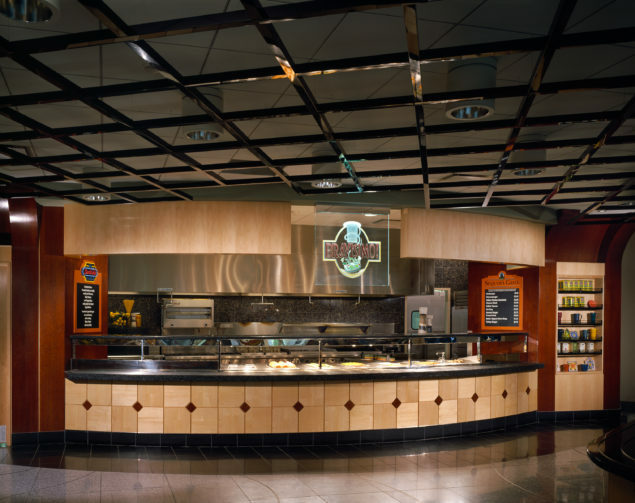 New food service equipment and dining room furniture were included as well as high-tech audio/visual systems required for company meetings. 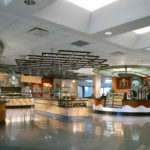 The space also includes a more inviting, retail-oriented corporate store for employees and visitors.